The question is, what do you think of the Cheoy Lee? Is it blue-water capable? Does the engine take up too much space? Is she beautiful? Let's get some opinions, pics, websites! I don't own one but know of the design. 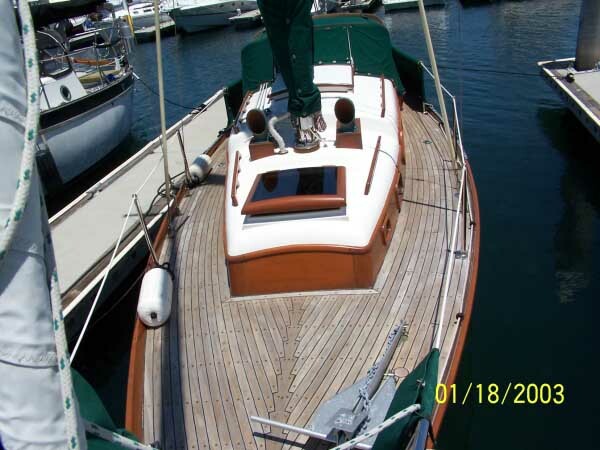 Fibreglass hull and traditional teak decks and cabin (not over glass). Good looking, probably not a bad sailer. 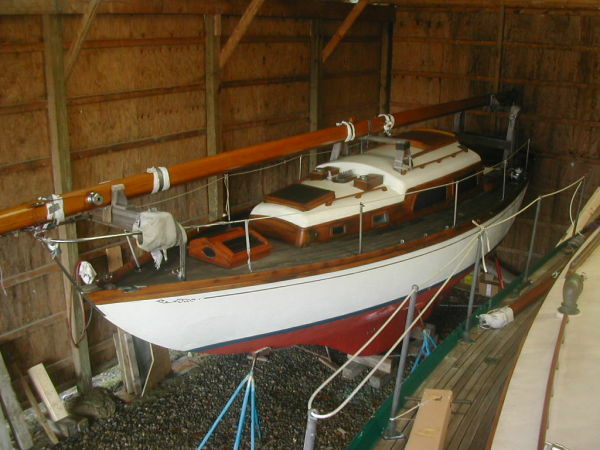 A friend and neighbor has a 36 in all wood and except for the maintenance issues she's pretty fast and good looking. The sale did not go through, but she is now on the dreamboat list. Basically these are boats 27' or less that have standing headroom and are generally considered worthy of ocean sailing. I have a Cheoy Lee 27 for sale on ebay now. Needs cosmetic work, mainly except for mast. Interesting. 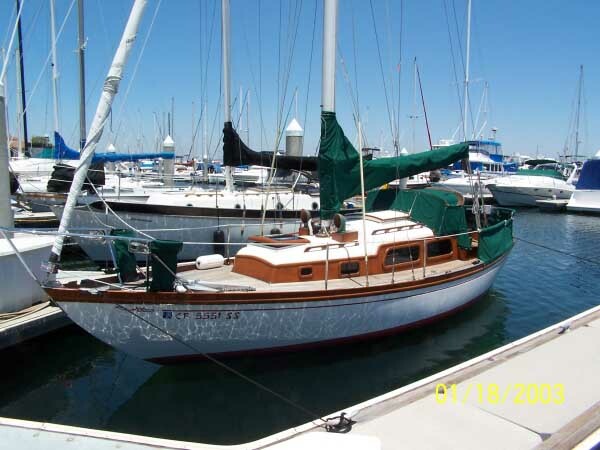 I owned a Cheoy Lee Offshore 27. I sailed that boat 20,000NM including a Pacific circumnavigation in 1976. On that circumnavigation, I departed from San Francisco, through the South Pacific, North through the Marianas and Japan. Then Alaska and Canada before returning to SF. That trip took one year. Lots of stops. Singlehanded. I had to make my own self steering sincoffe in those days, manufactured self steering vanes were not available. Also, my engine had a head gasket problem shortly after departing SF and I made the trip without engine. Kerosene lights. Zenith transoceanic radio. But - the boat performed in a flawless manner. I averaged 104nm/day for that trip. Also interesting, I once owned a Islander Bahama 24. Since my Offshore 27, I built and owned a 40' cutter designed by Groupe Finot in France for single handed around the world sailing. Which I have done. I have over 100,000 miles of offshore sailing. I still have a pic of my Offshore 27 anchored in Hanalei Bay, Kauai Hawaii on my desk. Where are you located? I am now living in Australia. I am a US citizen as well as an Australian citizenship. I love living in Australia. That thread was started 9 years ago, and the OP hasn't posted since 2011. That may be, but, I would certainly like Leo to stick around and share some stories!